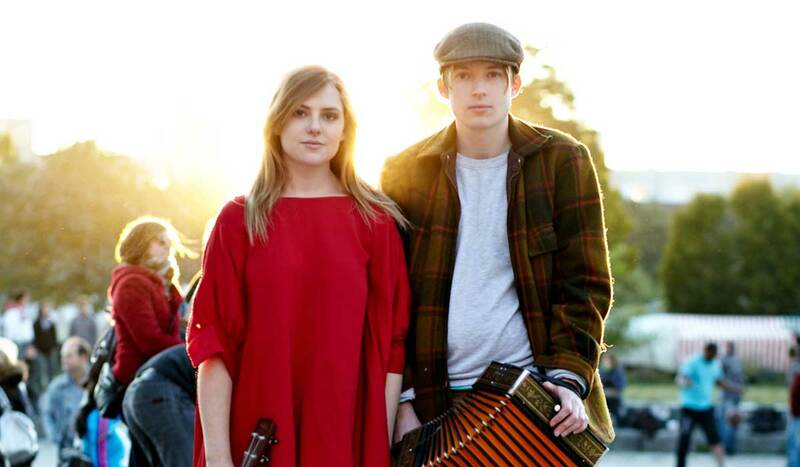 New Zealand expatriates, Chloë Lewer and Elliott McKee are the founding members of the indie-folk band, ‘Charity Children’. After moving to Germany mid 2011, without speaking a dribble of German, they started busking around Berlin, as they couldn’t get any jobs and music was the only profession they could hold down. With their endearing, intimate style, they have managed to build up quite a following over two summers from their busking sessions, most notably at the Mauerpark markets on Sundays. Their ukulele-driven sound also features harmonica, melodian, xylophone, hand percussion and anything else small enough to fit in their suitcase when they go busking. However, what really sets Charity Children Berlin apart from other acts in a similar vein are Chloe’s beautiful, ethereal vocals; their poetic, whimsical lyrics and the pairs strong onstage connection and rapport. Spotted by Monkey Records boss, Nigel Braddock, busking at Mauerpark in September 2011, he offered to record and produce their debut album and over three months they worked on nine songs in the comfort of Lewer and McKee’s Kreuzberg apartment. Charity Childrens’ ukelele-driven sound was suitably enhanced by horns, strings, percussion and a childrens’ choir. The album was then mixed and mastered at Masterlab studios in Berlin with mastering guru Andreas Balaskas stepping in as co-producer. ‘The Autumn Came’, represents a selection of songs written and performed over their first summers in Berlin. Some songs are joyful, some painfully tragic but all heartfelt.